As we fast approach the end of Empyrea, I believe it is high time we received some new utility spells. As such I have designed 3 new utility spells for each school. I imagine them being acquired at lvl 30, lvl 60 and lvl 90. Each spell follows one of three design principles: 1)Tool(s) a school is missing 2)Team assistive spell and 3)Individual spell. Do you feel the chill in the air? You should because we’re covering Ice school spells today. All cards created by LegendsoftheSpiral’s Card Creator! Description: Destroy 1-4 positive wards on self. 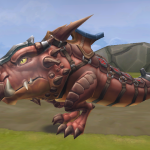 Heal 210 per destroyed ward to target. 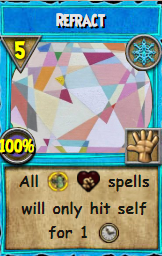 Explanation: A heal spell has been a long requested feature for the Ice school and this gives it that option at a cost. 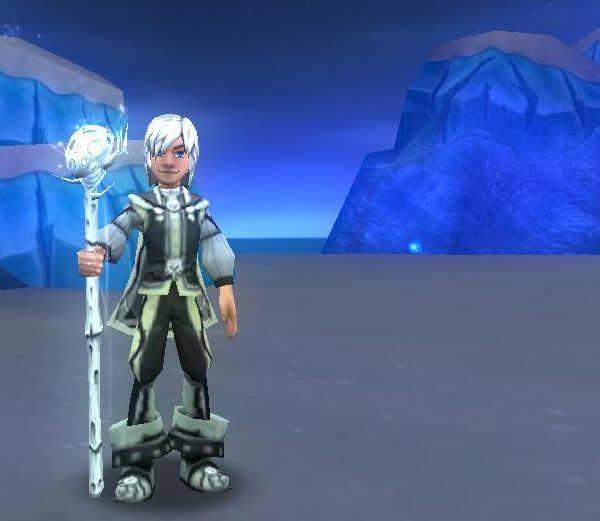 In exchange for all their defense, the Ice school is granted a heal of varying power. 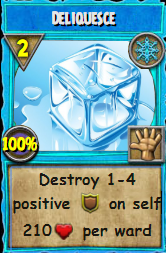 Explanation: A powerful spell that emphasizes Ice’s role as the Tank of the team. When this spell is cast, all damage spells will be redirected to the caster. AoE damage spells will ignore the rest of the team and only hit the Ice wizard(in effect becoming a single target hit for 1 round), Do note that utility cards and AoE utilities are unaffected by this spell. 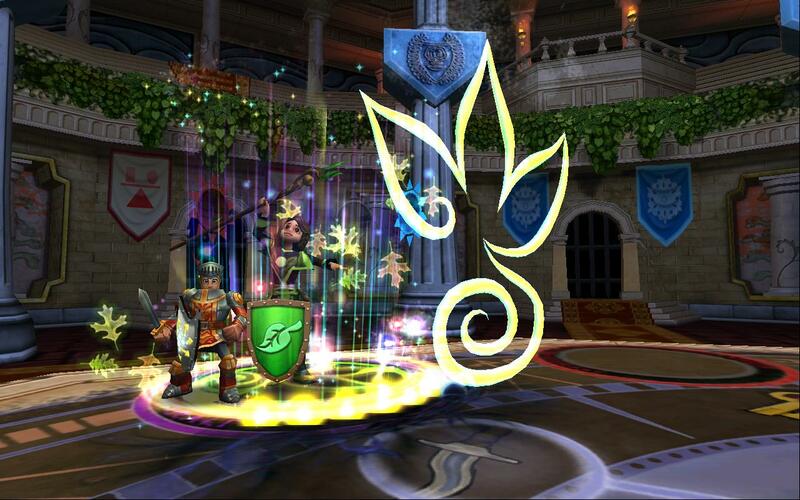 However, damage/utility spells(such as mana burn or glowbug squall) ARE affected by this spell. 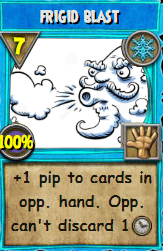 Description: Increase the cost of all cards in opponent’s hand by 1 pip. The opponent cannot discard for 1 round. Explanation: A spell that slows down the tempo and can ruin many a combo. The prevention of discard for one round means the opponent will have to pass or cast a spell that’s at least 1 pip.